Get everything on your list all in one go and in one place. We offer guitars, tools, jewelry, guns, electronics, fishing rods, sporting goods, collectible art, other musical instruments and a little of everything in between. Stop by the store or visit our website. We’re open 9 am -6 pm, Mondays-Fridays and 10-2 on Saturdays. Keeping in theme with our Christmas shopping posts, an article on Sol’s Jewelry and Loan, gives you 4 more reasons why to visit your local pawn shop for holiday shopping. At Pine Ridge Pawn and Jewelry, you will find items in like-new or gently used condition but for a fraction of the price you might find at department stores. We also have a vast selection of items varying from guitars to electronics to valuable jewelry to power tools and everything in between! Staff in our pawn shop are more than happy to answer your questions, help you find something and listen to any concerns you may have, including about collateral loans. As for our collateral loans, we lend money on all kinds of items, there are no credit check or application fees and we do not report to any credit agencies as your item is your collateral. Good day to sell your gold! Today, gold is holding $1172 per ounce. If you have any pieces you don’t want anymore, stop by the shop and sell your unwanted gold for some extra Christmas cash! See us for a no obligation quote or call us to sell your gold by appointment at 239-592-5400. We are open 9:30 to 6:00 daily. 10:00 to 2:00 on Saturday. 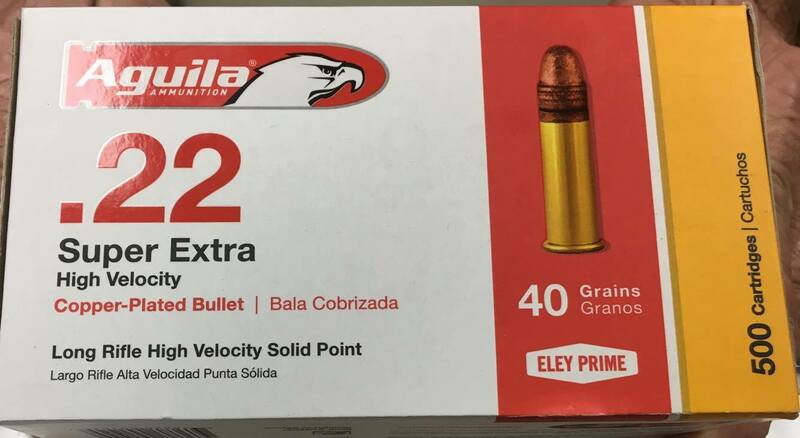 We just got a brick of .22, 500 Aguila Ammunition here in store. $6.50 for a box of 50 (10 boxes in total) or $60 for the whole brick of 500. Drop in to see us here in store or online at http://pineridgepawn.com/. We are open 9:30 to 6:00 daily. 10:00 to 2:00 on Saturday. You can also reach us at (239) 592-5400 for any inquiries you may have. There is a great article written by Best Collateral about the shopping scene at pawn shops around the Christmas season. With new inventory every day or every week, you’re almost guaranteed to find everything on your list, getting more “bang for your buck”. Come visit us here in store or online at http://pineridgepawn.com/ to shop for your Christmas needs. We are open 9:30 to 6:00 daily. 10:00 to 2:00 on Saturday.